Get on top of the world with one of Canada’s best urban views. 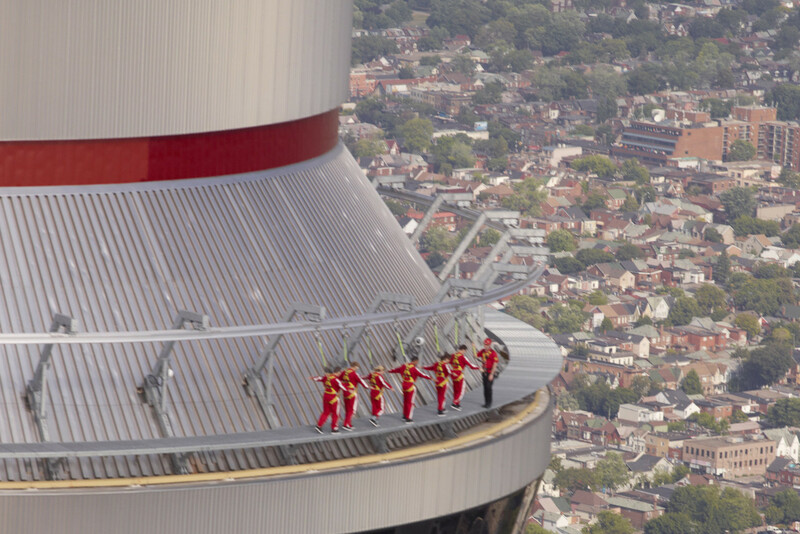 Embrace your fears and push yourself to the limit by scaling the edge of a glass-panelled 500-metre-high building on this thrilling Unique Sky High Adrenaline Rush adventure with EdgeWalk at the CN Tower. 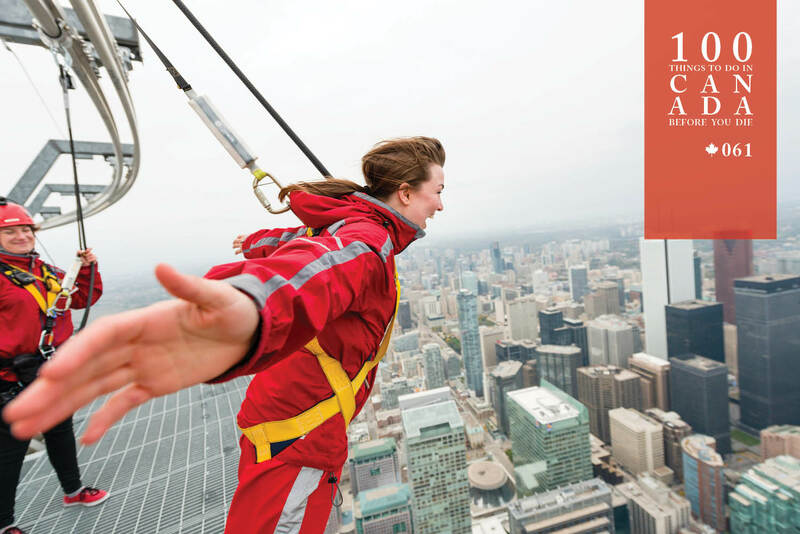 What better way to kickstart your heart than with a ride up 131 storeys in a glass-bottomed elevator before stepping out onto the roof of Toronto’s lofty communications needle? After you’re safely secured in your harness, it’s time to take the plunge. Your heart will race and adrenaline will course through your body as you tread the tower’s glass edge 356 metres above the bustling city street, with the communications needle extending another 200 metres above you. Easily the most tremendous and terrifying lookout in all of Toronto, this extreme vantage point will give you a view of the city – and the ant-like cars and people below – that you can’t experience anywhere else. It’s also home to the world’s highest wine cellar, so you can happily toast your achievements with one of 9000 bottles of wine available in the revolving restaurant. 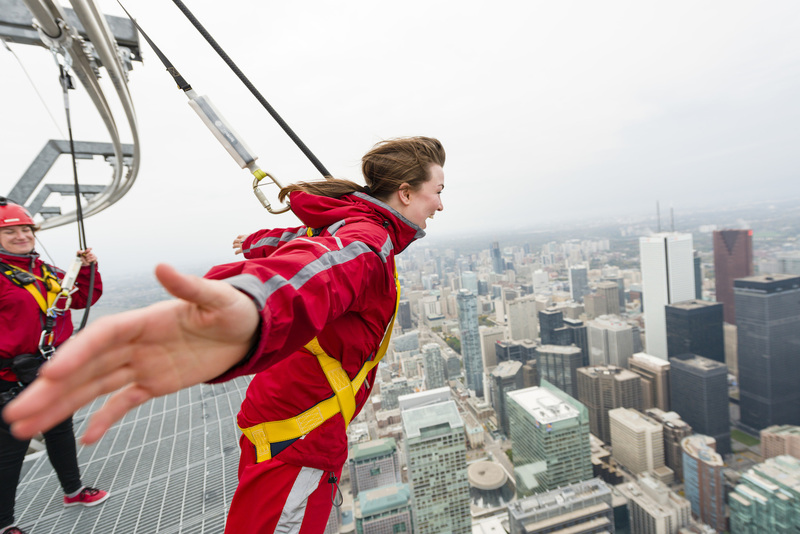 Test your nerves on a Unique Sky High Adrenaline Rush of CN Tower (edgewalkcntower.ca) any time except winter, or during severe storms or winds. Find out more here. 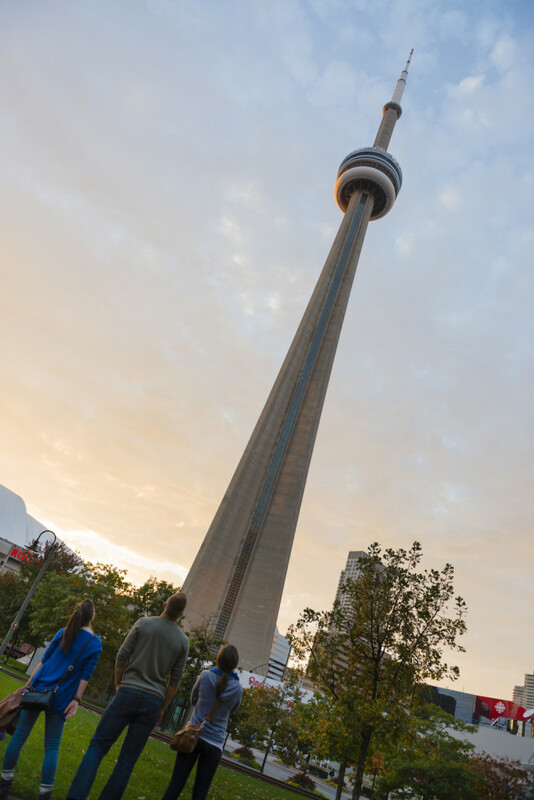 You can’t miss it: the tallest freestanding structure in the western hemisphere, Toronto’s CN Tower is smack bang in the middle of the city, a couple of streets back from the harbour.